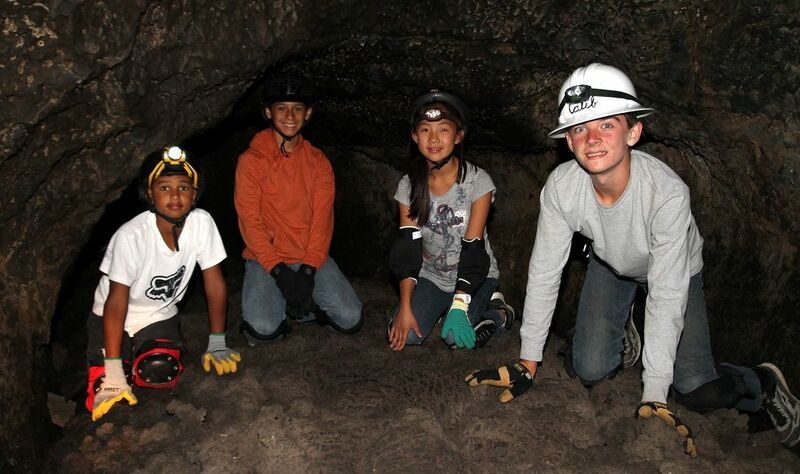 Outdoor education begins in 4th grade with one or two overnight field trips that focus on California History. The consistent trip is to the Christian Camp in the foothills north of Placerville called “Rock and Water” where students get to experience the life of a forty-niner, panning for gold, making rope, and learning about life 165 years ago. Other trips have included Angel Island and Fort Ross, during which students dress for the parts they will play in re-enacting history. These immersion experiences in the natural settings of historic places are a powerful way to create lifelong impressions and memories. In 5th grade, outdoor education focuses on marine biology and coastal environments. Students spend three to four days at Albion Field Station, owned by Pacific Union College. Located along the northern California coast, students explore the waterways and tide pools, as well as the pigmy forest and other natural wonders. They also get to dissect marine creatures and identify local flora and fauna. 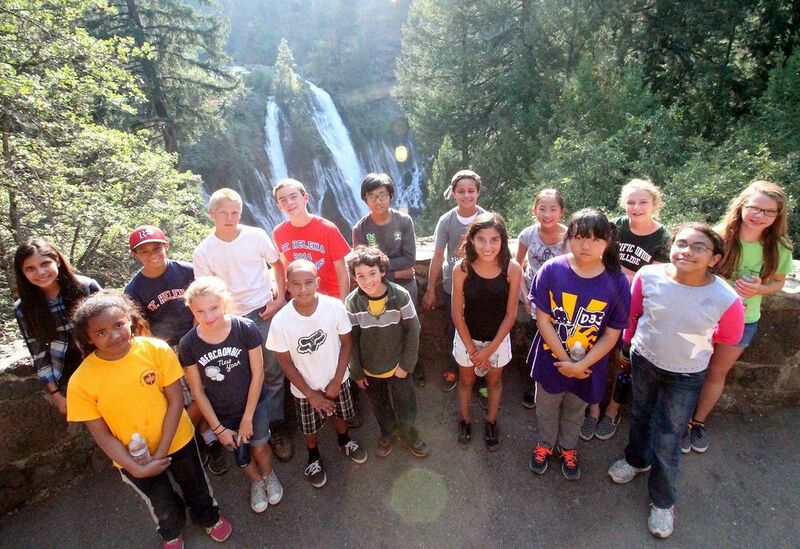 In 6th grade outdoor education involves an exploration of the Sierra Nevada foothills. Students usually stay at the Leoni Meadows Christian Camp and Retreat Center. Besides identifying many birds, animals, and plants, student engage in interactive games to understand the dynamics of the forest ecosystem. Students also conduct experiments and investigations into the eating habits of owls and the water-holding properties of different types of soil. 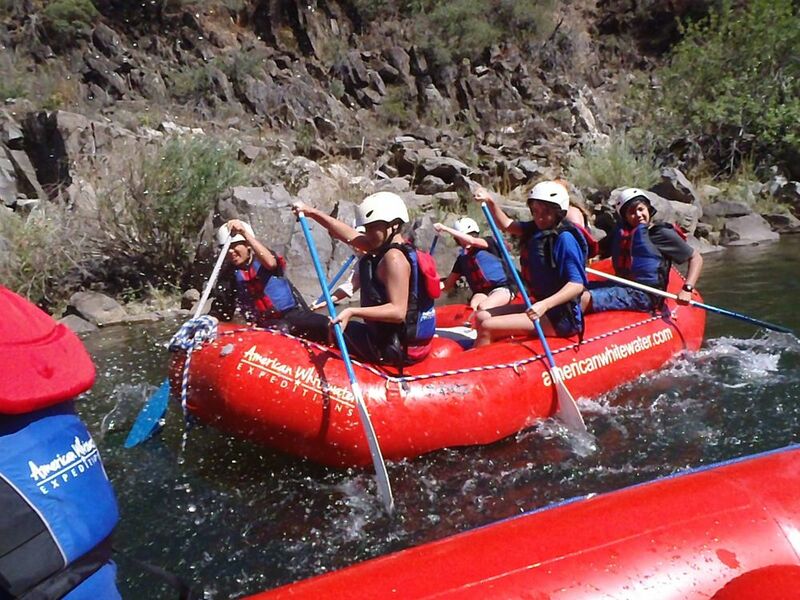 The 7th grade outdoor education trip takes students to the northeastern corner of California. Students focus is on natural history and geography, with a heavy dose of geology. This epic four to five day trip is one in which parents clamor to be a part! The learning is non-stop, including completing a syllabus while driving in the cars between sites. The adventures include things like the Sundial Bridge in Redding, the Shasta Dam and Caverns, Native American petroglyphs, lava beds and caves, mines, lakes, waterfalls, Mount Lassen, and hot water leaks around one of the most recently active volcanoes in the state. In 8th grade, students take a four-day excursion to the Sierra Nevada foothills, based out of Leoni Meadows. The curriculum includes creative writing, art, poetry, drama, and research of great environmental leaders and visionaries. To top off the experience, the whole class takes a white water rafting trip down the American River. 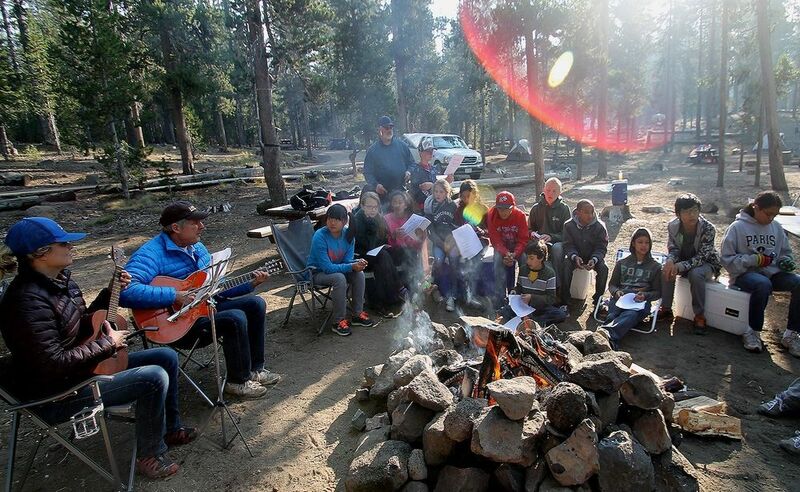 This outdoor education experience not only connects students with God’s second book of nature, but is a powerful bonding experience for the 8th grade class as they begin their last year of elementary school together.